Gulfport is truly a hidden gem along the Gulf Coast! It’s considered one of the most charming places in Florida, and when you read about all the wonderful activities in the area, you’ll understand why! With a funky, artistic culture, fabulous waterfront restaurants, and an abundance of quaint shops, this captivating town is a great destination for every type of traveler! 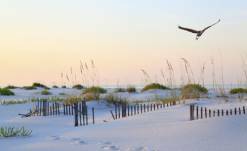 Learn more about a few of our favorite things to do in Gulfport, FL, and start planning your visit today. 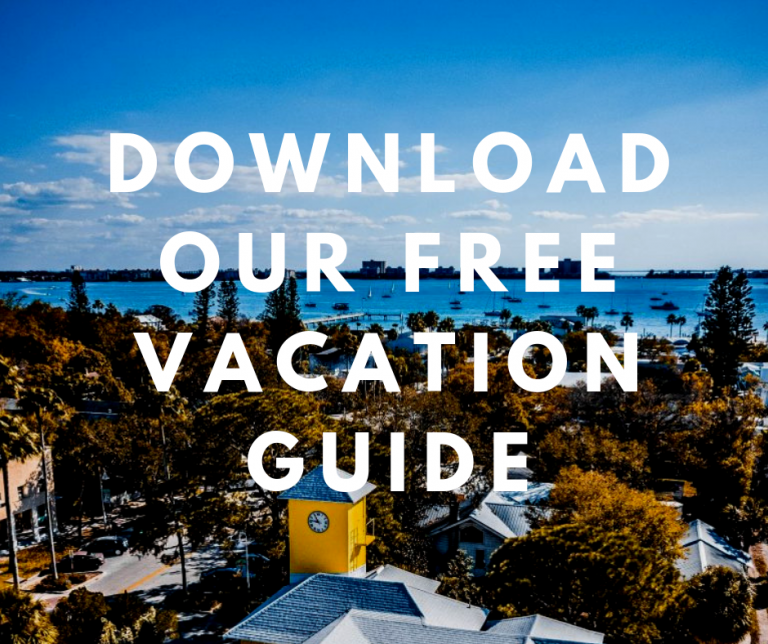 To help you research your trip, use our free Vacation Guide! It includes all the best local recommendations for restaurants, events, shops, museums, and outdoor adventures, giving you all the tools you need for a stress-free getaway. One of the greatest features of our lovely town is the gorgeous scenery. Envision old Florida buildings, gorgeous beaches, and beautiful natural parks. There is a wide variety of outdoor attractions and activities to enjoy for active travelers. Whether you’re laying on the beach catching some sun or hiking the many trails around Gulfport, you’ll make the most out of your vacation for sure! When it comes to hiking, there is a plethora of trails to choose from for hikers of all skill levels. A number of state parks, including Fort De Soto Park and Egmont Key State Park, are located near our inn and make for perfect wildlife viewing, hiking, and learning more about the area. The gorgeous ocean water is one of the main attractions when visiting Gulfport. There are a number of water activities for those looking to cool down and enjoy the beach. You can explore the Williams Pier for example or try your hand at diving at the Gulfport Dive Center. For history buffs looking to learn more about the town, there are plenty of educational opportunities. Gulfport, and its surrounding areas like St. Petersburg and Tampa, offer a great selection of museums, galleries, and historical sites to explore. Choose from Salvador Dali’s art gallery or learn more about automobiles at the Tampa Bay Automobile Museum. No matter what you’re interested in, there is something for every type of learner. Traveling is a multi-sensorial experience, so of course, you should enjoy good food while you’re in Gulfport! 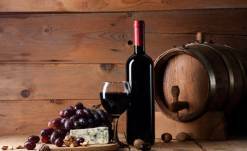 Seek out the best food in and dine at one of our favorite Gulfport restaurants. 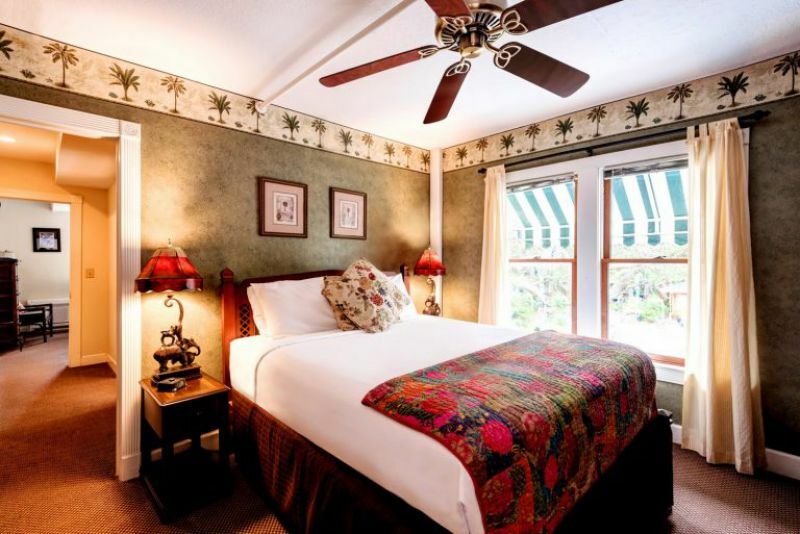 Two of our top choices are within walking distance from the Historic Peninsula Inn! 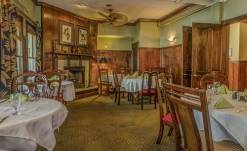 You don’t even need to leave the building for the first one: Isabelle’s is our award-winning restaurant that serves delicious and seasonal specialties. It’s perfect for spending a relaxing night with your significant other! For some of the best crabcakes on the Gulf, a trip to the Backfin Blue Cafe is a must! The charming 1920s-era cottage provides guests with a casual and laid-back setting while the delicious cuisine sends your taste buds on a tropical journey. If the weather is nice, request a table on the restaurant’s cozy porch! 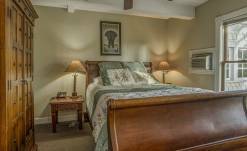 Our charming and historic inn is the place to stay when you decide to visit the area with proximity to dozens of things to do in Gulfport, FL. Our 12 stunning guest rooms and suites exude elegance and comfort with all the modern amenities you desire. Each room boasts a unique atmosphere that reflects the exotic lands of Casablanca, Burma, Serengeti, Katmandu, the Nile, and more. You will love the warm, colorful decor and our modern take on Old Florida traditions. Plus, a delicious, complimentary breakfast is served every morning. Just follow the sweet smell of coffee downstairs! Want to make your stay with us even more memorable? Take advantage of our exclusive packages!